Thanks to its originality and prime location, the Aparthotel Garden Lago is considered one of the best holiday destinations to spend your summer break on the island. 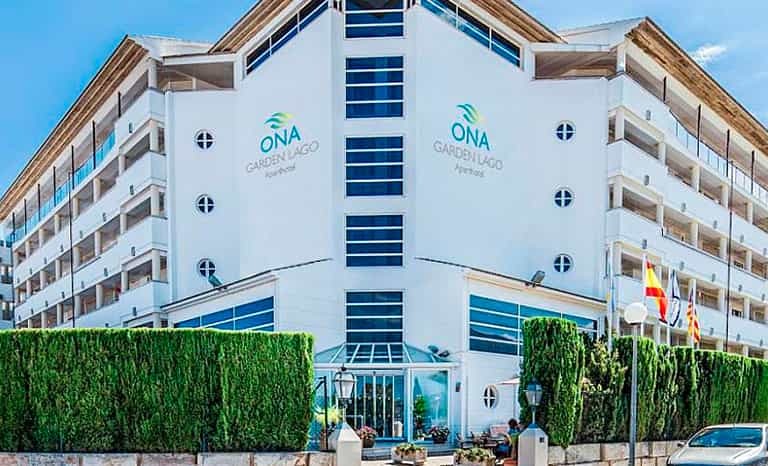 This family resort is situated in a privileged spot between the beautiful bays of Alcudia and Pollença, specifically in a nice residential area renowned for its ​​lakes and canals. That is exactly why this aparthotel is one of the luxury resorts recommended by Global Great Hotels in its exclusive portfolio. As one would expect, Garden Lago is just a few minutes away from a paradisiacal fine-sand beach. However, this flawless beach, which stretches for 10km on the coast of Port d'Alcudia, is not your only choice. You can also visit other fabulous white sandy beaches, such as Playa de Muro or Can Picafort during your stay where you can spend a wonderful afternoon playing with children, soaking up the sun, or having a relaxing swim in the crystal-clear Mediterranean waters. Garden Lago is the perfect place to relax and spend a few days’ holiday with your partner, family or friends, given that it offers everything you all may need to spend an unforgettable stay. On one hand, it counts 85 apartments of several types and sizes that will greatly exceed your every expectation. And, on the other hand, each unit is equipped with all the modern conveniences, and combines an exquisite rustic decoration with ample spaces to satisfy everyone’s needs. In essence, we are sure that its high-class design, radiance and brightness will captivate you as soon as you set foot in the resort. 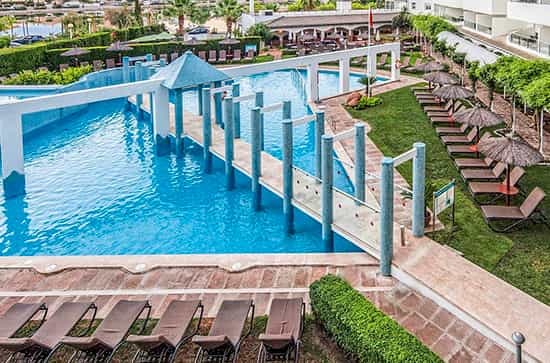 The aparthotel Garden Lago is equipped with a fantastic open swimming pool where you can cool off and make the most of the sun if you decide to stay all day at the resort. You can enjoy a much-needed day off having a cold drink at the restaurant or walking around its large verdant gardens while children are having fun in the playground. However, you can also extract the stress from you and disconnect in the gym, jacuzzi or sauna if you wish. All conditions are perfectly gathered to put you at ease and make you feel at home. Besides, it is worth mentioning that these facilities are adapted for people with reduced mobility so that everybody can have a lovely day with family. Best of all, you can live this amazing experience without leaving the aparthotel! Nonetheless, if you prefer to walk around the neighbourhood, you can sure visit Alcudiamar, a famous commercial port located about 5-10 minutes drive from Garden Lago. There, you can find a wide variety of good restaurant options and water activities for the whole family! Can you think of a better place to spend your holidays? Do not miss the opportunity to stay at Garden Lago. Contact Global Great Hotels and make your booking at this beautiful resort. Online reservations are available 24 hours per day. that the staff speaks English. The Aparthotel Garden Lago offers 85 refurbished apartments distributed on 6 floors with surfaces between 70 and 130 m². Comfortable, spacious and bright, they are ideal for sharing with your partner, family or friends at any time of the year. Each accommodation has a dining room, a kitchen, a bathroom, a balcony/terrace, and 2-3 bedrooms (depending on yours and your family’s needs). 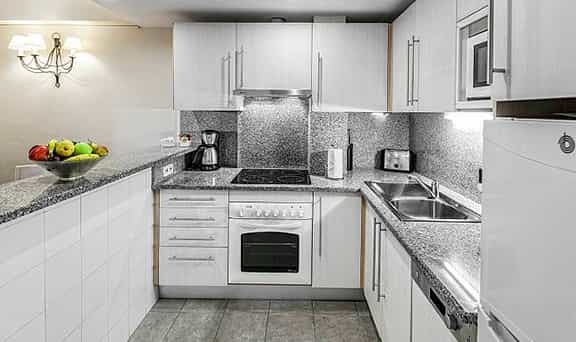 Furthermore, they all are fully equipped with all appliances that you can desire and have need of, such as air conditioning, satellite TV, DVD player, microwave, washing machine, kitchenware, cookware, sheets, towels, and personal hygiene supplies. All to ensure maximum comfort and convenience during your stay. The apartment for up to 2 people measures 70-100 m² and has 2 private bedrooms. It is equipped with a sofa bed and two double beds (or alternatively 1 double bed and 2 single beds). The apartment for up to 4 people measures 70-100 m² and has 2 private bedrooms. It is equipped with a sofa bed and two double beds (or alternatively 1 double bed and 2 single beds). The apartment for up to 6 people measures 70-100 m² (2 private bedrooms) or 100-130 m² (3 private bedrooms). 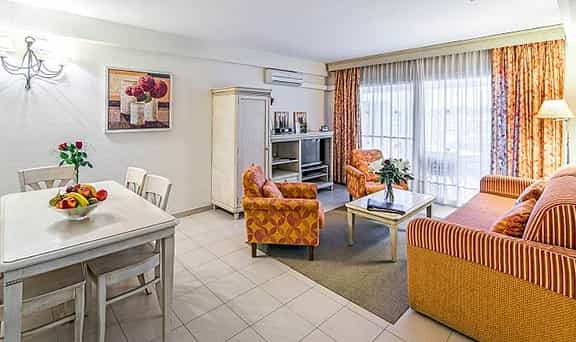 Depending on the apartment, it is equipped with a sofa bed, two double beds or 4 single beds. The apartment for up to 8 people measures 100-130 m² and has 3 private bedrooms. It is equipped with a sofa bed, two double beds and 4 single beds. We prioritize comfort and well-being without abandoning luxury. Our goal is to provide the best possible service to our clients by organizing tailored trips full of unforgettable experiences. Therefore, if you decide to visit Majorca, we will make sure you seize every second you spend on this wonderful island. The Garden Lago apartment complex is equipped with a large outdoor swimming pool and ample garden areas where you can relax and disconnect from the daily routine at the same time you enjoy a familiar and quiet atmosphere. These fantastic facilities represent a major value-added to your vacations as you have a private place to enjoy the warm sun of Majorca. 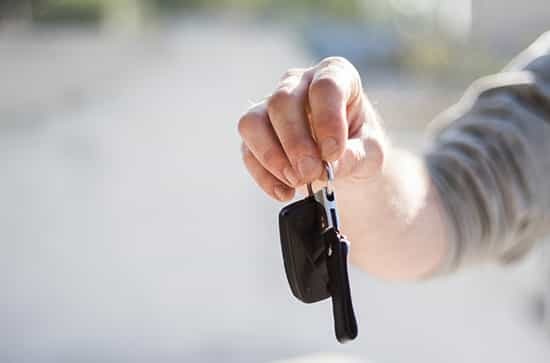 Hiring a car in a foreign country could be a complicated task if you are not used to dealing with car hire companies. These companies usually takes advantages of tourists because they do not completely understand what they are hiring. For this reason, if you need a car to move around the island, do not hesitate to contact Global Great. We will take care of the booking and decide which type of company best fits your needs. Not only does this resort creates a perfect family atmosphere, it also places at the disposal of its guests a wide range of leisure and entertainment options to make them have the time of their life on that journey. 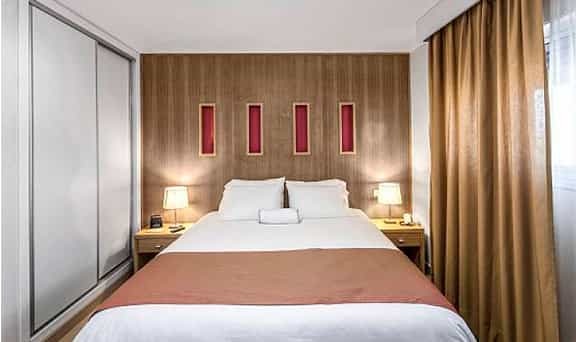 For instance, during your stay you will be able to find a playground area for children, ping-pong tables, billiards, and shows to liven up your summer nights. For some people, vacations are a time to live unbeatable experiences with family and friends. However, these days off are also the right moment to rest and disconnect from the life they all put aside. This is why the aparthotel Garden Lago offers a wellness area where guests have access to a cozy gym, an amazing sauna, a jacuzzi, and a massage service to charge their batteries and recover.